A classic 1950's Venetian mirror framed rectangular mirror with stylised leaf corners and slightly scalloped inner border. Can be hung portrait or landscape. Some minor aging to the glass border mirror consistent with age - see images. No chips or cracks. 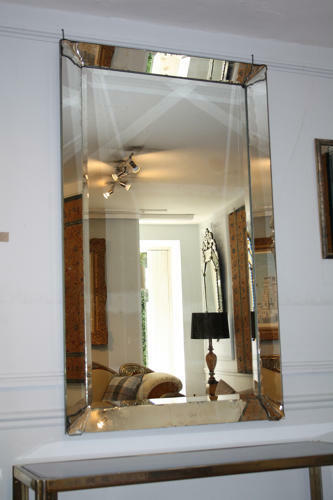 A simple elegant mirror which compliments many interior styles.